Published: Dec. 4, 2016 at 02:09 p.m. Published: Dec. 4, 2016 at 01:34 p.m. 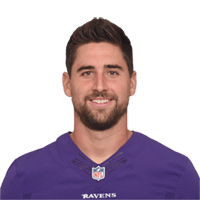 Published: Dec. 9, 2013 at 05:48 a.m.
(2:07) (Shotgun) J.Flacco pass short left to D.Pitta for 1 yard, TOUCHDOWN. Published: Dec. 8, 2013 at 04:46 p.m.
Baltimore Ravens QB Joe Flacco hits tight end Dennis Pitta on fourth down for a 1-yard touchdown catch in the fourth quarter. The Ravens would score the 2-point conversion to take the lead.